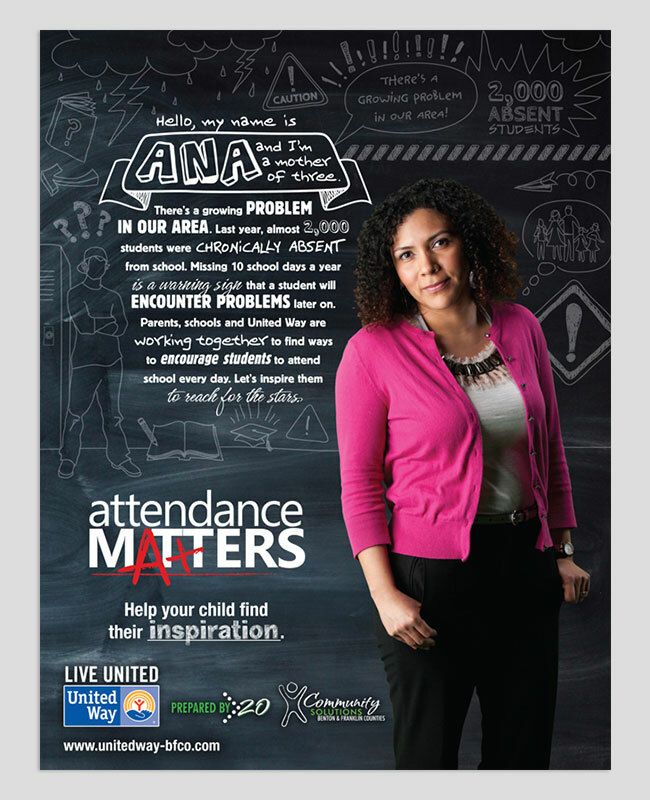 Focal Point had the opportunity to work with United Way of Benton and Franklin Counties on an interesting and challenging ad campaign initiative, called “Attendance Matters”. 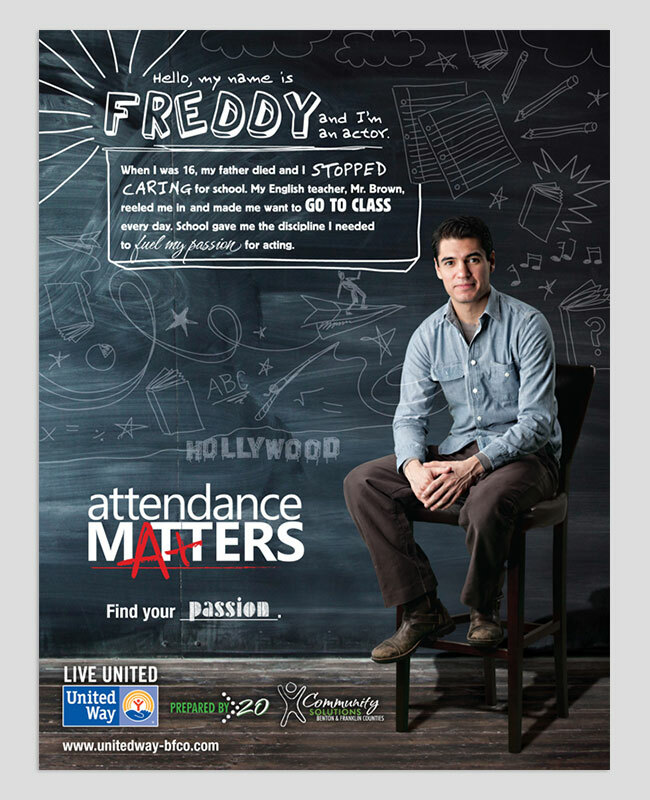 The campaign centered around a series of television commercials which would target children and parents alike, to bring to light the long-term consequences that can arise if students miss class too frequently. 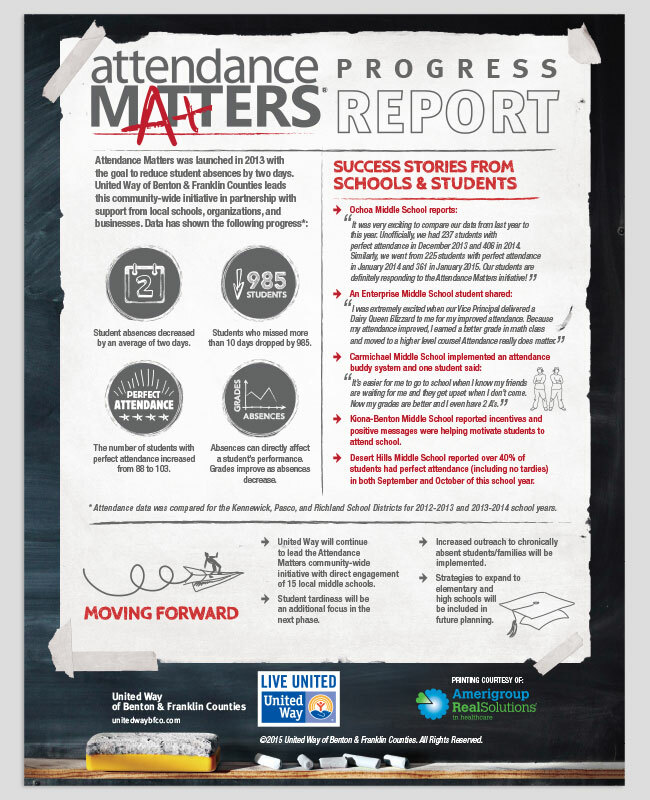 It was important to us that the campaign was down-to-earth, relatable, and most importantly – inspiring. 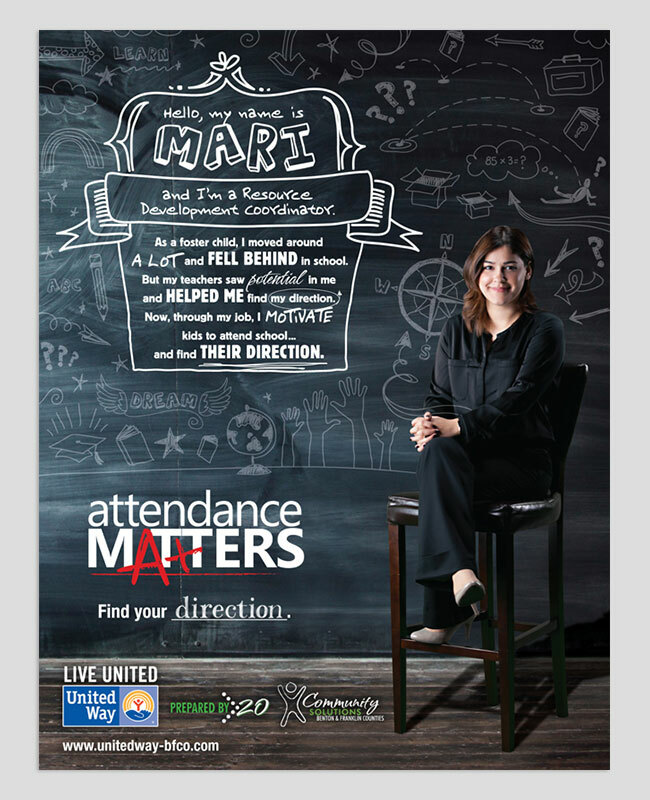 Our “Attendance Matters” campaign gives voice to real individuals who certainly faced challenges in school, but were able to overcome those challenges by using their education to find success in careers that they are passionate about. We built upon the contagious exuberance of these individuals by bringing their stories to life as animated chalkboard illustrations. Enjoy the campaign!